Red Cross Giving Day exceeds fundraising goal. 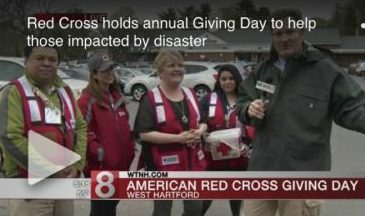 Nannette Bosh joined by WTNH Bob Wilson for the 3rd Annual Red Cross Giving Day. An incredible day of fundraising for the Red Cross to support its’ Disaster Relief Fund. Generous donors turned out despite the weather at the West Hartford, CT Stop & Shop along with Gil Simmons. 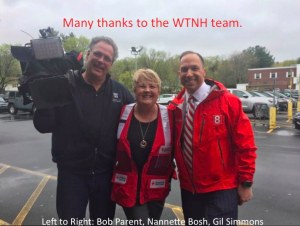 Many thanks to WTNH Bob Wilson and to all donors across the Nation who helped the Red Cross exceed their fundraising goal. For additional event photos click here.